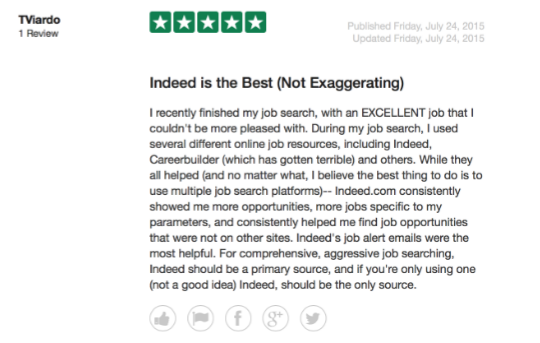 Indeed Review – Is it Useful for College Grads? Are you a college student or graduate looking to land your first job after college? If you’re looking for employment through online job boards, you may have come across Indeed. Perhaps you’re questioning whether the service is really appropriate for finding a post-college type career. This review will dive into the company and will give you a better indicator of whether or not the site will be a good fit for you and your career ambitions. Indeed is not your average online job board – meaning it doesn’t post jobs from only one source. Instead, the service pulls jobs from a bunch of sources including online job boards, staffing firms, associations, career networks, and company websites. It’s been branded as the one stop shop for jobs – making your job seeking process more efficient and convenient. Gone are the days where you had to plow through each and every job board in search of unique opportunities. With Indeed, all the opportunities are gathered and presented to you in one place. Some of the major job boards used by the site include Monster, Career Builder, Yahoo!, and Hotjobs. Due to the convenient nature of the website, the service has become the world’s number one job site (it recently passed Monster), helping job seekers from all over the world land opportunities meeting their unique needs and career aspirations. The service attracts job seekers from over 50 countries, resulting in 180 million unique visitors every month. Keep in mind, it’s an all-purpose job board so it’s used by a wide variety of users from college graduates looking to kick start their career to the seasoned professionals looking to change companies. The service is very quick and easy to use. It’s like Google – only for jobs. Like Google, it offers an uncluttered and user focused home page, consisting of only a search bar. The accommodating nature of the home page allows users to search and apply for jobs, without having to sign up for the service. The search bar grants you access to jobs posted on 1,000’s of websites. The beauty of the service is it doesn’t require employers to post jobs directly on Indeed (although this is an option) – instead no matter where a job is posted, the service will find it and bring it to your attention. Simply visit the homepage and enter your job title and location. From there – you will be presented with a list of jobs available in your area. After you are directed to the full list of jobs, you will want to use the advanced search options to filter through the large database of jobs. Considering Indeed pulls jobs from all websites – the jobs can range in a lot of different aspects (i.e. part-time, contracting positions, full time). As a college student or graduate, you want to zero in on the jobs that best fit your needs and experience level. I recommend browsing through the advanced search features on the left-hand corner and selecting the appropriate filters. For example, after I searched for finance positions in New York – I was presented with over 18,000 jobs. This can be quite overwhelming so in order to find the ones best suited for a college graduate, I would select full time, entry level, and the $50,000+ salary filters from the left, and use those search options to narrow down the long list of jobs. Once you have narrowed down your search results, it’s time to start plowing through the website in search of opportunities to kick start your post-college career. After you find a job of interest, simply click through and you will be redirected to the employer’s website where you can then fill out and submit your application. Tip: Although you do not have to sign up with Indeed to use their service, it can be worthwhile and save you time. Indeed gives you the option of signing up, and using their service to upload your resume. From there, not only can employers find you, but it’s more convenient for you because you can send out your resume faster. Considering the site is less of a job board and more so an online search engine for jobs – it pulls jobs from all lines of work. From business to psychology to medicine – regardless of your major, you are bound to find entry level jobs matching your skill set. Whether you are a student looking for part time work to pad your resume or you just graduated and need to land a job so you can get your parents off your back – Indeed has you covered. The only issue you may run into is location. Depending on where you are located, you may or may not find positions related to your major. A cool feature offered by the website is the Success Page, consisting of reviews left by people in real time who have successfully used Indeed to land jobs. It includes over 10,445,391 success stories, 5,149,117 of which are from the United States. Just today – 3,726 people used Indeed to land a job. Although these numbers are great – you have to keep in mind the website will only include success stories which benefit the company, hence, they can be a little biased. In order to give you a more accurate and unbiased representation of the company, I searched external review boards and found some of the reviews below. Uses job postings from employers without asking them. Since Indeed pulls jobs from a variety of sources, you may end up applying for a position that the employer has no idea was even advertised on Indeed. This can be frustrating for both you and the employer. Butchered resumes. The website allows you to upload your resume, however once you do, it messes up the format and leaves your resume looking very unprofessional. Higher possibility of finding scam jobs. Indeed pulls jobs from all available job sources – meaning the chances of you finding a scam or MLM opportunity are definitely higher. College students have to filter through a lot of jobs and exercise judgment regarding which jobs are best suited for the college level. It can be frustrating and annoying having to go through a bunch of jobs which are either beneath or above your experience level. Lacks strong career resources. The website does not offer any resources or guides for individuals seeking to enhance their job seeking process. Lack of support. The customer service aspect of the service is very slow, considering it takes a day or two before your email inquiries are answered. Sends you job alerts. With Indeed you can establish job alerts based on keywords and location and the site will email you the alerts daily. This saves you time from manually having to search the job board in pursuit of new opportunities. Saves you time. One of the best features of the service is its convenience. Considering the service takes jobs from all available sources and posts them onto one site – the days of you having to visit five or six different online job sites are gone. Targeted search tool. This is very convenient and helpful when it comes to filtering through the large database of jobs. Access to mobile apps. The service can be accessed on your mobile phone, giving you the ability to search and apply for jobs on the go. Indeed is definitely a very superior service, mostly because it saves you a lot of time from having to search through various job boards. 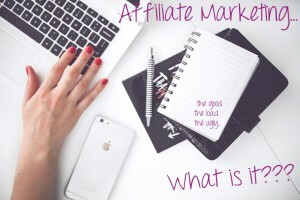 For this reason alone, the service is worth checking out. Although you will find a lot of positions – it takes some more in depth searching to find college-level jobs. 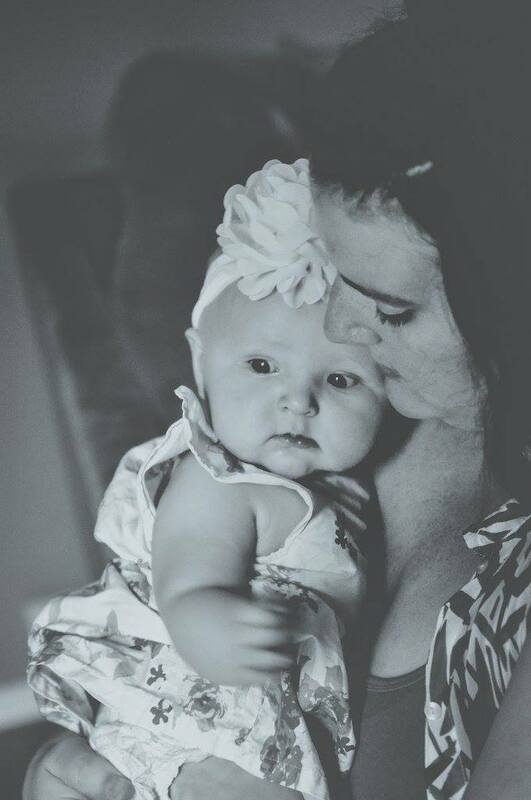 Even though I recommend you check out the site – you shouldn’t rely exclusively on the service. Use Indeed, but also check out the other job boards that are designed specifically for college students and graduates to increase the odds of you landing your first job after college. Have you ever used Indeed to look for a job? What was your experience? Share down below! We used Indeed to hire office executives and as per our personal experience, we can say with full confidence that it is one of the best Job Portal for Startups to find a right talent from the pool of talented candidates. Our http://www.hecmo.com is a new e-commerce startup and we found suitable candidates on Indeed as per our business needs. Indeed website is always full of job potentials, and if your job isn’t available, it gives plenty of other similar options. . Indeed is the most optimal newsletter distribution system for https://www.hecmo.com. That are related to our requirement and our eligibility. This site was probably the first website that gave a full description of not only the job, but the needed requirements, so you won’t have to leave its website to visit another and then have to search for that information. 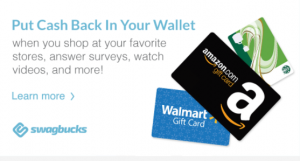 It also gives great information about the company and the company’s reviews. Also, if the jobs are rare, you can always add other job alerts easily. I think it is entirely fine to use Job Boards like Indeed for your search to find job openings, but yes I would recommend applying directly to jobs and attaching your resume/cover letter yourself to each application. Personally I wouldn’t upload my resume directly to the site, in particular Indeed, because it is seen by tons of potential recruiters and you might get a lot of spam calls. I made that mistake a few years back when I was fresh out of college… I got endless recruitment calls from MLM type schemes and sales calls. I have mixed feelings for indeed, but your article does ‘indeed’ cover some critical points. it’s annoying that they do not update their job listings and also the criminal activity you mention. Great review on indeed. I can relate to this being that this was me not to long ago. Finding jobs during/after college is on most students mind 24/7. Indeed has plenty of jobs on there good and bad. But i like how you went in depth on how it works. I know myself have a better understanding of the website myself thanks. Wendy. Just now in reading another article on your website, (College Monster) that also dealt with job searches I also was previously aware of Indeed. And in fact as was the case with your review I actually dislike them much more than Monster. 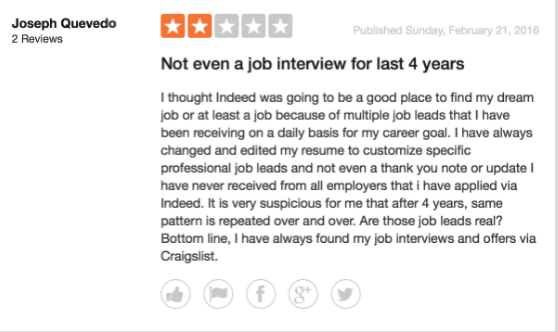 You pointed out the many glitches that can occur with a person looking for a job on Indeed. As you stated this site pulls in jobs from many different boards regarding jobs. I’ve found the glut to be, if anything disheartening in the past. Yes, I did use the features that you mentioned in your review about how to narrow down a specific job search. And yes their customer service is truly a joke. Inadequate number of staff members, or else those employed in this service who truly don’t care – viewing you as yet another number. I also found in the past job offers still posted that were first listed 4 – 6 months beforehand. 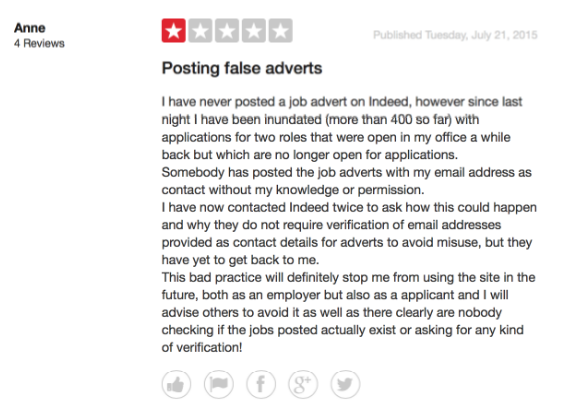 Those jobs had to have been taken so why did not staff members at Indeed removed them? 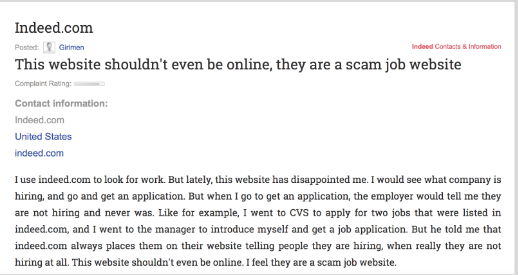 The fact that scam jobs could be posted without even the employer being aware of it, as you mentioned is borderline criminal. 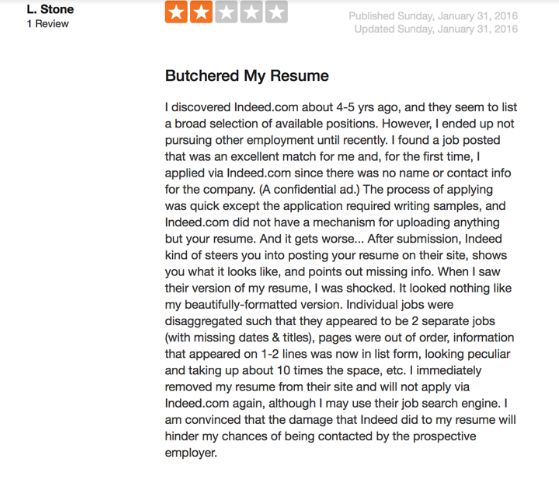 Shame on Indeed for allowing this to happen. Yet the problem could be traced to an overwhelming number of jobs posted on the site in the first place, and like Monster not enough adequate staff members to ensure the validity of such jobs. 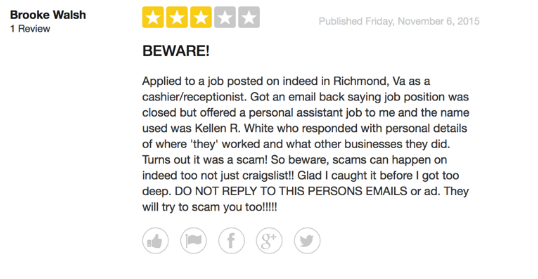 Thank you Wendy for providing to your readers an honest assessment of this job service site. Some good and also bad things that one would have to take into account as pointed out by you at Indeed. Wow posting jobs and contact details without asking permission from the people offering the job – is this even legal? I did sign up to indeed once – they’re on of the most popular job sites in the UK – I cant actually remember if i got a job through them or not since i signed up to a lot at the same time. The search is handy but I never realised they didnt ask permission from the people advertising the job – makes me think twice, I’m not sure i would use them again.